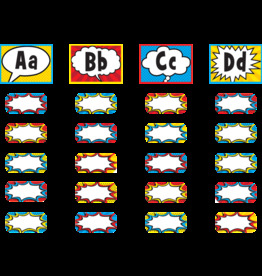 Use them to help teachers and substitute teachers learn students’ names. 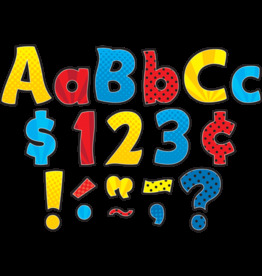 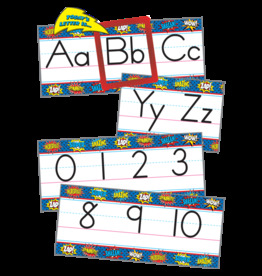 Use them to label learning centers, storage areas, and portfolio collections. 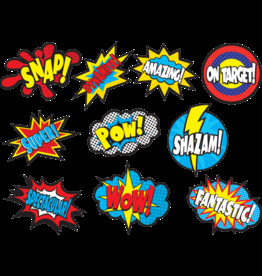 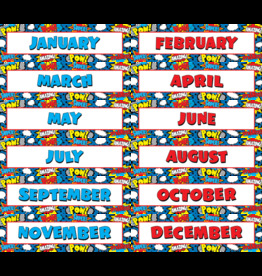 Laminate them for use as vocabulary flash cards, or work bank labels. 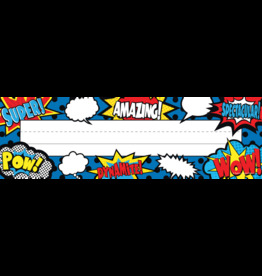 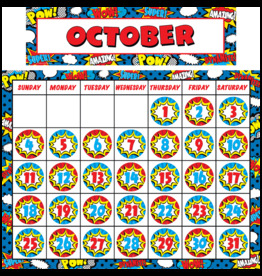 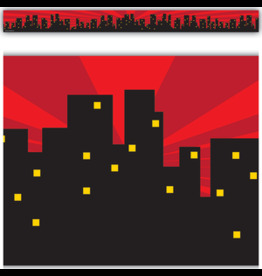 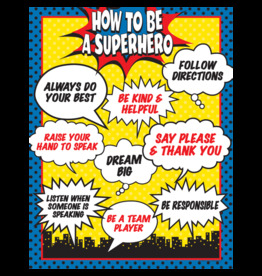 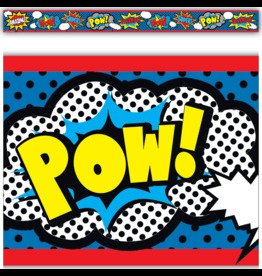 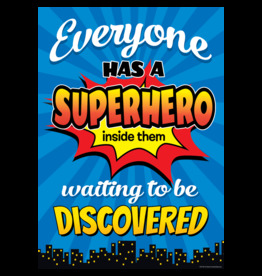 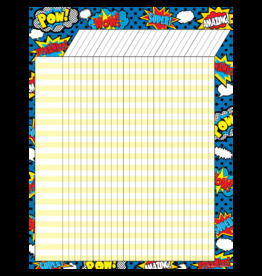 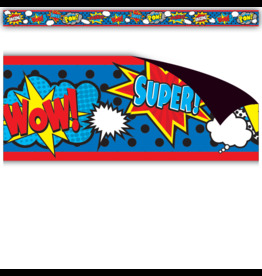 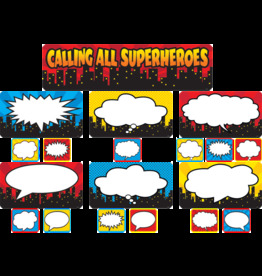 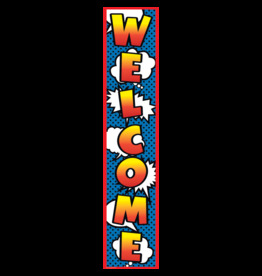 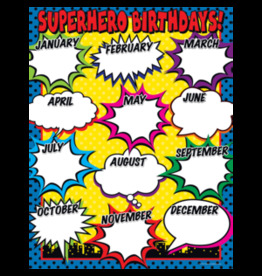 Celebrate your “super” class everyday with this bright and cheerful bulletin board display. 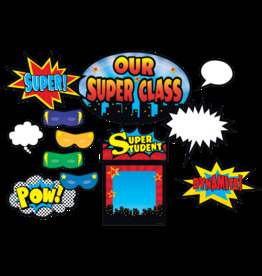 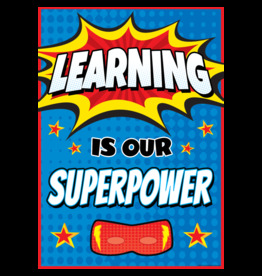 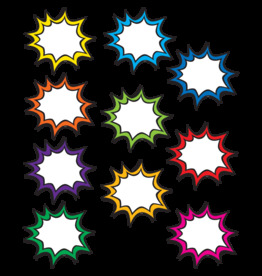 Use the center frame for a picture of the whole class or use it to celebrate a super student.